Posted on February 5, 2019. Former president of Technomic Inc. and current CEO of Foodservice Results, Darren Tristano, appointed to Cousins Subs Board of Directors. Cousins’ Board of Directors assess the direction and strategy of Cousins which boasts nearly 100 locations in Wisconsin and Illinois and provides guests a variety of made-to-order deli-fresh and grilled subs served atop the brand’s signature fresh baked bread. 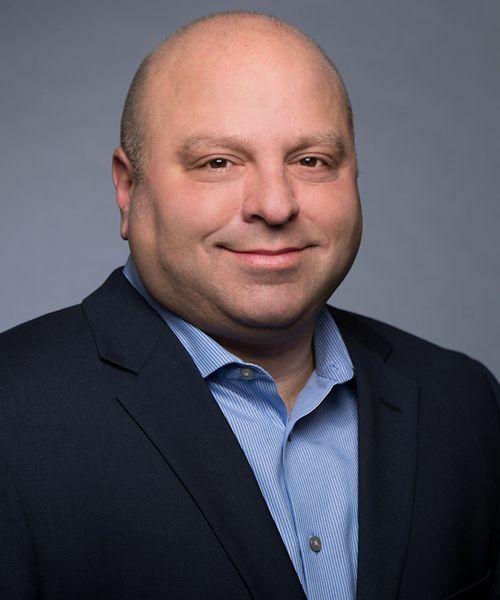 Tristano brings more than 25 years of industry knowledge to the Board of Directors with immense insight from his time spent as president of Technomic, a research-based foodservice consulting firm. In January 2018, he founded his own research firm, Foodservice Results. The company specializes in consumer research and data analysis to equip restaurant operators, suppliers and distributors with knowledge of industry trends. Emerging as a leader in the industry over the last 25 years, Tristano has collected and analyzed foodservice data, presented his findings to countless industry professionals, developed industry standard data platforms to equip foodservice professionals with a better understanding of consumer behavior, and has regularly forecasted industry and consumer trends. As a native of the Oak Park and River Forest areas of the Windy City, Tristano offers vital insight into the Chicago consumer just as the fast-casual sub shop forges ahead with its 40-unit development deal in Chicagoland and prepares for additional Midwest growth. For the last 20 years, Tristano has kept a weekend home in Wisconsin, and it was during these visits that he first became familiar with Cousins Subs. His love of the brand’s food and the draw of the talent embodied in Cousins’ leadership, brought Tristano onboard. Cousins works with 13 Wisconsin-based companies to provide unique local offerings such as cheese curds, shakes made with Wisconsin dairy, Sprecher Root Beer, and Badger Ham. “They are a brand that uses different types of ingredients that are really more comfort-food oriented. You don’t typically see that on a national or local level. They leverage local offerings and bring them to their menu,” said Tristano. Cousins also focuses on bringing guests a higher-quality sandwich than competitors, but at a comparable price point. A quality-focused, locally-inflected menu serves as “a major point of differentiation compared to competitors,” according to Tristano. “Cousins stays pretty close to their Midwestern roots, and I think they have a lot of opportunity to expand as a result,” said Tristano. Tristano’s experience with Technomic cued him to the importance of understanding the landscape of a marketplace before trying to enter. “[Brands] need to understand who the competitors are and what the consumer base looks like. In the Chicago market, you’re always going to have national competition, but also local. When you see brands’ success and failure, you have foresight into where the market is and what you need to operate to be successful. I’m happy to bring my experience to Cousins,” said Tristano. While Cousins is not without competition, the brand plans to focus on catering and third-party delivery options to target the consumer needs of today and challenge legacy brands’ command of the segment. “Chicago is primed for that third-party delivery approach, and people expect it,” Tristano said. Tristano also emphasized the importance of cultivating a “my store” affinity from the consumer base. “That concept of ‘my store’ is so important. Someone might say, ‘Oh, my McDonald’s is a mile away…’ Once you have ‘your store,’ as you’re driving around, and you see that brand at another location, there’s that sense of recognition. You want to go inside,” Tristano said. Building critical mass in the Chicago market via a Wisconsin-inspired menu, including options like fried cheese curds and creamy-smooth shakes, will be key to building the AUV level up to that of Wisconsin, according to Tristano. Ultimately, Tristano said, Cousins’ emphasis on quality will be key to the brand’s growth. “As consumers become increasingly focused on quality, Cousins will emerge. Price is becoming less important—innovation and quality are more important to today’s consumer,” said Tristano. Cousins is positioned for exciting growth in the Chicago market and plans to open dozens of locations over the next six years. Cousins Subs first Chicago location can be found at 120 W. Madison St. in Chicago’s Loop district. Wisconsin-based Cousins Subs, a family-owned, fast casual sub shop established in 1972 by Bill Specht and his cousin, is driven by the mission to Believe in Better – both in the quality of food it serves and in the communities it supports. Cousins Subs and its franchisees operate nearly 100 sub sandwich shops throughout Wisconsin and Illinois providing guests with quality deli fresh and made to order grilled subs using only the freshest ingredients on its signature bread baked daily. For more information, visit cousinssubs.com. You can also find Cousins Subs on Facebook, Twitter and Instagram.